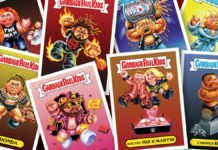 At Long Beach Comic Con 2017 I was lucky enough to interview one of my all-time favorite in ring performers, Rikishi. 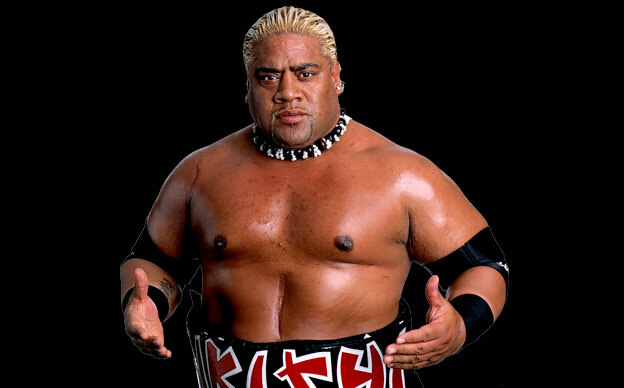 Rikishi – real name Solofa F. Fatu, Jr. – was one of the major players during the WWF/WWE Attitude Era of wrestling. Rikishi competed alongside other greats like the Rock, Stone Cold, and Undertaker. During his career, he won multiple championships, including the IC belt and tag team gold. Rikishi’s career from his beginnings as part of the Headshrinkers to becoming the Sultan to being dancing big man Rikishi was storied and full of fun. 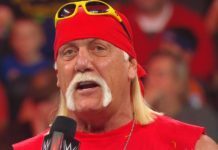 According to Rikishi, though, his favorite moment in his career was his chance to dance with his sons before his Hall of Fame induction. Oh, and if you don’t know his sons, they are none other than WWE superstars Jimmy and Jey Uso. Source: Rikishi and the Usos dancing on RAW. So, what’s Rikishi doing now? Well, besides making a name for himself as more than just a member of the storied Anoa’i family in wrestling, he’s enjoying life, talking to Nerdbot, and running a wrestling school. If you’re in the LA area, why not sign up and learn some stylin’ and profilin’ at KnokX Pro? Learn from the man himself alongside other greats like Black Pearl! Man, what I wouldn’t give to learn how to move and work like the Wild Samoans, the Rockers, or the Hardy Boyz. Who’s your favorite wrestling superstar? Let Nerdbot know the comments! THE Kurt Broz is not just a personality for Nerdbot, but he's also the editor-in-chief and a real live scientist! Born on the snowy shores of Lake Erie in good ol' Cleveland, Ohio, Kurt Broz has been there and back again, now residing in sunny Southern California. You can find THE Kurt Broz in cosplay, buying comics, hiking, and even writing for Nerdbot and WLFK Productions. He may be a child of the 80's but he is certainly a man of the world.